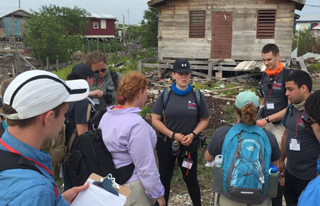 FSU EMHS is partnering with the Belize Association of Planners to conduct field research in neighborhoods of Belize City. For this project, we are seeking both undergraduate and graduate student researchers to assist with conducting interviews and collecting data regarding demographics, access to resources, land use, etc. Successful applicants will possess excellent writing, interpersonal, organizational, and leadership skills, and will also be in good academic standing with Florida State University. A novice familiarity of Spanish is preferred, but not required. Applicants must either have taken 1 or more EMHS classes as of Summer 2018 -OR- be enrolled in at least 1 EMHS class during Summer 2018. Please submit materials to application@em.fsu.edu by March 19, 2018. If you have any questions, please e-mail both Judith Cuadra (jcuadra@em.fsu.edu) and Bobby Duggleby (bduggleby@em.fsu.edu). Good luck! 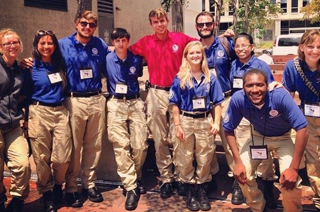 Students interested in speaking with a former FEMA Corps Team Leader about the program may contact Bobby Duggleby. All students interested in Emergency Management are invited to apply for a Student Scholarship to attend the 32nd Annual Governor’s Hurricane Conference. Degree or certificate seeking students currently enrolled in a public or private institution of higher education, at the graduate or undergraduate level, who have taken or are taking emergency management related courses as part of their academic program, are eligible to apply for a scholarship to attend the 2018 GHC. While a student’s major or minor concentration of study need not be “emergency management” specifically, they should demonstrate that their field of study has a direct impact to overall emergency preparedness, response, recovery and/or mitigation. Application deadline for this opportunity is March 2, 2018. For more information, visit the Governor's Hurricane Conference Website. **EMHS students selected for either of these opportunities may be eligable for travel and lodging assistance provided by EMHS. For requirements and details, students must contact Jarrett Broder before applying. 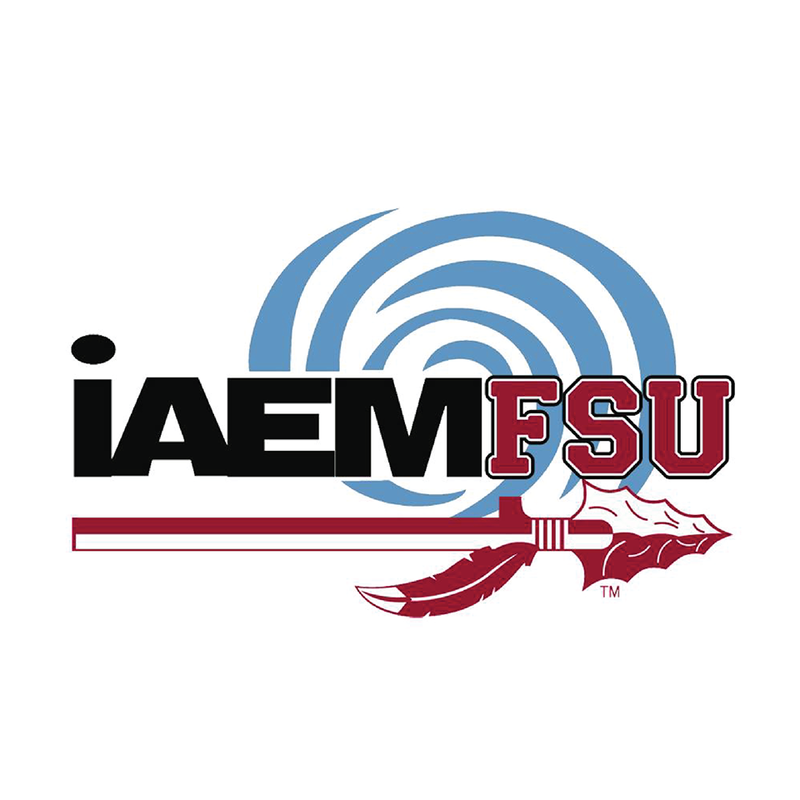 The FSU Chapter of the International Association of Emergency Managers is currently looking for new members. IAEM is a national organization to connect emergency managers to better coordinate disaster response, recovery, mitigation, and preparedness. 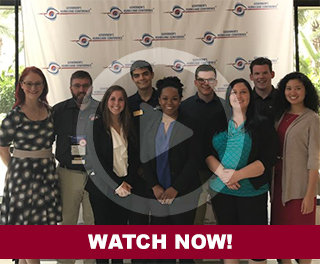 The student chapter at FSU seeks to connect the students at Florida State with an array of opportunities to observe, participate, and network with emergency managers and stakeholders in their area. Additionally, this organization seeks to create connections between students to build networking and lasting connections with peers and potential colleagues in the future. IAEM aims to provide support to interested students with an avenue for professional development, as well as practical experience, and we accept all majors/fields of study. Students interested in joining should contact IAEM-FSU President, Kayley Stutson [kns14b@my.fsu.edu].